3D Pools and Landscape is here to create your dream outdoor living space. We are proud to serve the Katy and greater Houston area. Our comprehensive services go hand in hand with quality and knowledge.Our staff and team of professional designers, craftsmen, trades, and installers have over 20 years of experience in the swimming pools and landscape industry. We provide some of the best quality you can get. We identify and meet our customers’ needs. Make your outdoor living space vibrant and useful! 3D Pools and Landscape can create patio designs, outdoor structures, outdoor kitchens, hard scapes, fireplaces or fire pits, gazebos, and pergolas, that will transform your backyard into a wonderland of great design and functionality that can be used to entertain your family and friends. If you ever wanted a backyard fire pit for those cool nights or a gazebo for a tucked off hideaway, 3D Pools and Landscape can build it for you. The possibilities are endless – if you have the vision, 3D Pools and Landscape can make it into a reality. We install patios, decks, hardscape designs for your home or business. Our designers use travertine pavers, bricks or stone to create unique designs that will transform your outdoor space into the center of attention. 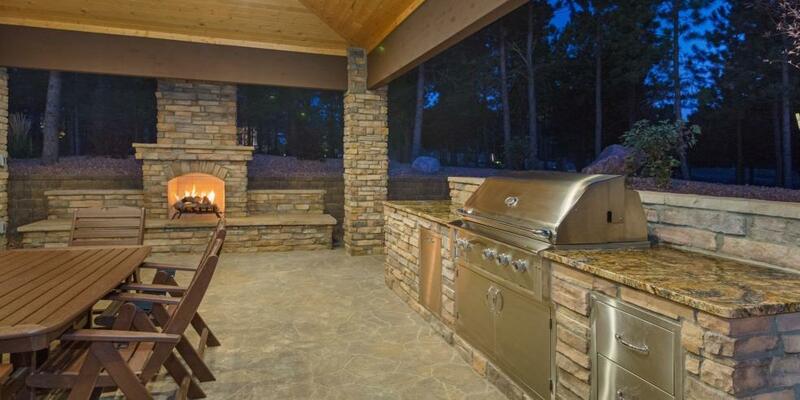 We can create a special and intimate environment by incorporating a fire pit, pergola, or outdoor kitchen into your outdoor living space. Adding these different elements into your design can not only bring value to your property, but it can also bring new memories shared with family and friends in these wonderful creations.